It’s always worth having in the back of your mind, whenever you consider a product from Time, that its frames are a real labour of love, constructed in-house at its French facility from the very first strand of carbon to the finished product. That level of control makes Time a rare beast these days. By literally weaving its own tubes, and constructing with its own ‘Resin Transfer Moulding’ system, Time has an enviable ability to completely control how every part of the frame will react when it becomes a bike. The VRS Fluidity is its latest project, targeting those who want to have their cake and eat it – getting the best of both worlds in terms of comfort and performance. To achieve this, Time has used a combination of new geometry plus more extensive use of Vectran fibres in certain areas of the tube lay-up. Vectran is a polyamide fibre that has vibration-absorbing properties, which Time weaves within the high-modulus carbon strands, positioned directly to filter vibration. Just like the frame, Time creates its own fork, it calls Safe+, again using Vectran fibres to find the sweet spot between stiffness and comfort; an integrated Translink seatpost completes the package. Clearly confident in the end product, Time’s claims of unequalled comfort – while maintaining the lateral stiffness required for performance and power transmission – is enticing us to put it to the test. 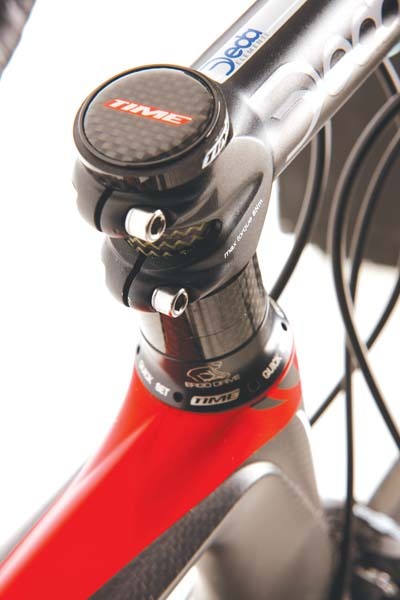 Two versions – one for mechanical groupsets and one specific to electric, with pre-installed wiring and battery mount – are available, in six sizes. 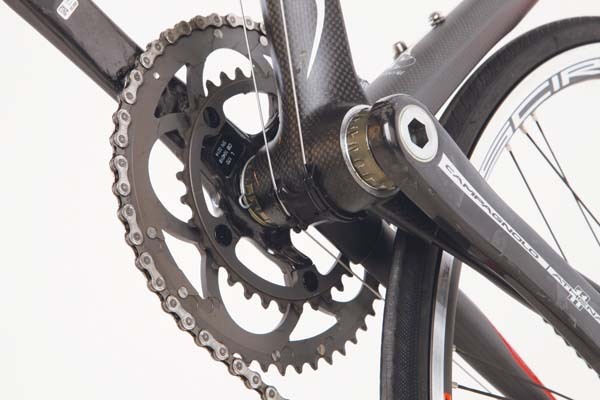 Full carbon dropouts, plus the lighter BB30 (BB86 on the electronic version) gives a frame and fork weight of 1,490g for the mechanical version, and 1,615g for the electric. Vibration damping is the Holy Grail when it comes to comfort, at any performance level; Time, though, is targeting the sportive rider with the VRS Fluidity. 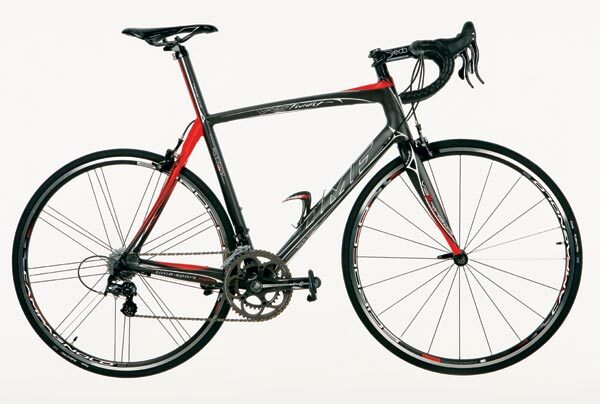 For this reason, it has increased the head tube length, making the bike higher at the front. For example, on a ‘medium’ frame, the top tube is 55cm and the head tube 18.4cm; that’s all but two centimetres higher at the front when compared to Time’s ‘race’ RXRS Ulteam.